You will notice in the picture below that the bow on the two shoe strings orient themselves differently, with the left shoe pointing diagonally and the right shoe straight across. 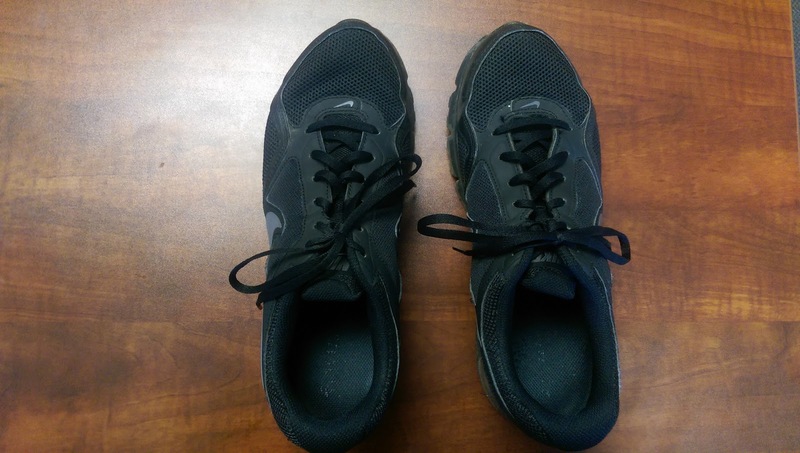 The result is that the left shoe will become untied far more easily than the right shoe, and this was the frustrating situation I found myself in for the first 40+ years of my life. Totally fed up one day with a new pair of dress shows I couldn't keep tied for more than 5 minutes, I found out (via Google searches, of course) that I had been tying a granny knot instead of the far stronger square knot. I had been doing a "right-over-left, right-over-left" sequence. I changed that to a "left-over-right, right-over-left" sequence and changed my life immediately for the better. This entertaining, 3-minute TED talk will show you the above, and the Shoe Knots web site will go into more detail. If you, or anyone you know, have trouble keeping shoes tied, this is the solution.